Small Mall is back once more with the Tiny Talk series! 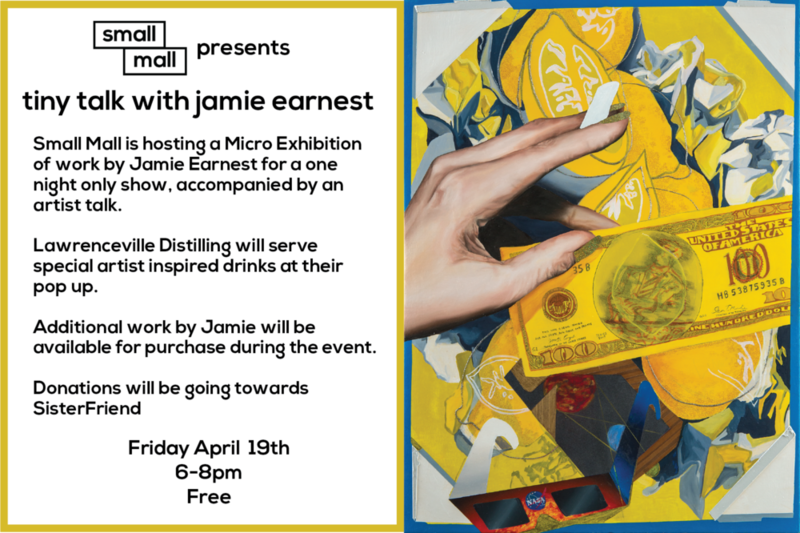 Join us as host a Micro Exhibition of work by Jamie Earnest for a one night only show. The show will be accompanied by an artist talk. Lawrenceville Distilling will serve special artist inspired drinks at their pop up. Additional work by Jamie will be available for purchase during the event. Donations will be going towards SisterFriend.